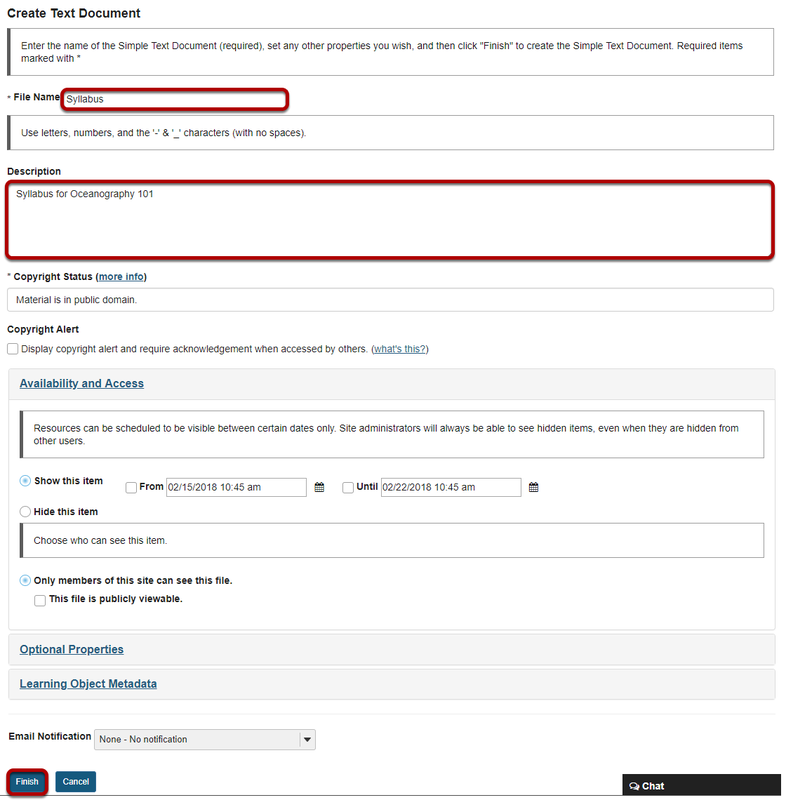 Sakai Community DocumentationSakai 19 User Guide (English) ResourcesHow do I create a text document? Zoom: Click Actions, then Create Text Document. Zoom: Enter text, then click Continue. Zoom: View text document in Resources.